Biryani is a South Asian dish featuring rice and meat cooked together with a full complement of spices for a complex and powerful flavor. Nobody’s really sure where it originally came from, but the idea certainly caught on, and once you taste it for yourself, it’s easy to see why: it’s a tasty way to spice up dinner without a lot of work (don’t be fooled by the long list of ingredients; most of those are spices and the actual preparation is very simple). 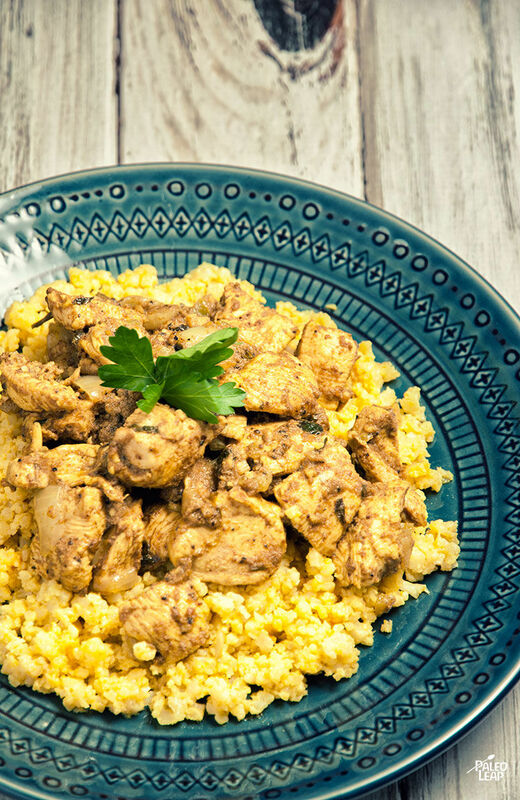 You can make biryani with any kind of meat; this recipe uses chicken, plus cauliflower as a quick and more Paleo-friendly replacement for the rice. You can make just the chicken if you like, but if you want biryani and not just some tasty chicken for dinner, it really isn’t complete without the “rice” as well. It’s great hot for dinner, but Paleo biryani is also great for leftovers, hot or cold. Throw some in your lunchbox for a convenient way to get your meat and your vegetables all in one: everyone who just brought a sandwich will be green with envy! SERVES: 4 PREP: 30 min + 2 h. COOK: 30 min. Combine all the ingredients for the biryani, except the chicken, in a large bowl. Stir everything well and season to taste. Add the chicken pieces to the marinade, mix again, and marinate for 2 to 12 hours in the refrigerator. 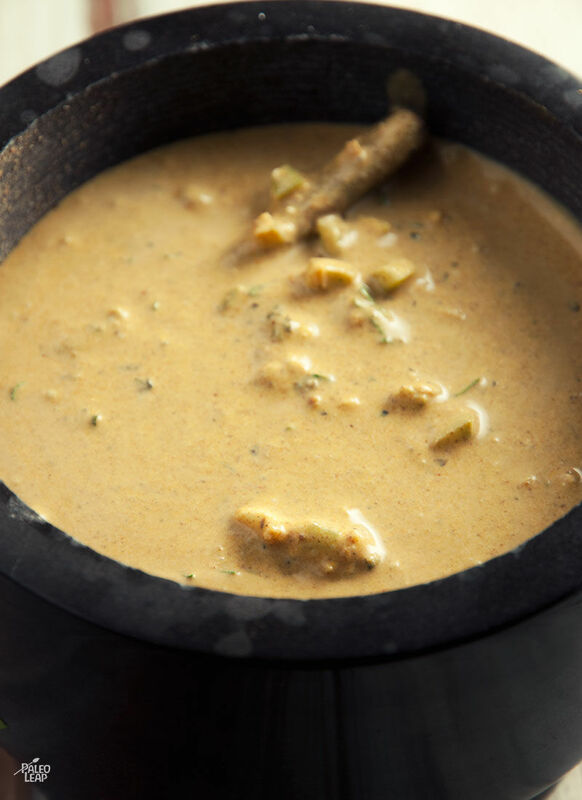 Pour the marinade and the chicken into a preheated skillet placed over a medium high-heat. Cook until the chicken is cooked through, 15 to 20 minutes. Melt some cooking fat in a skillet placed over a medium-heat. Add the riced cauliflower, mix in the spices, and cook until soft, 8 to 10 minutes. Serve the chicken on top of the cauliflower rice.